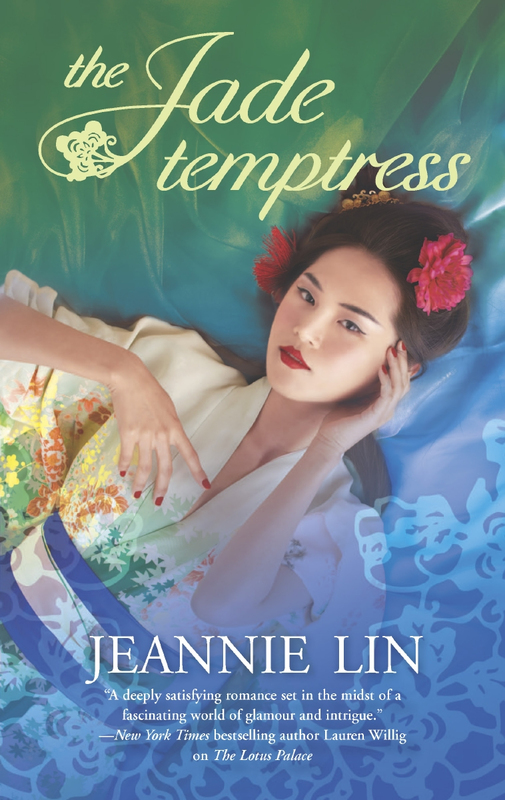 Faced with a proposal from a man she despises, impetuous Mei Lin makes a daring declaration: she will only marry the man who can defeat her in a sword fight. 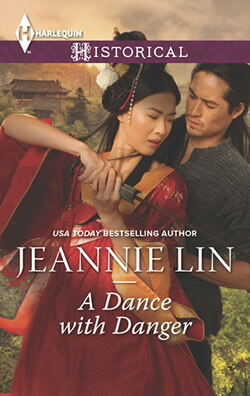 She has bested everyone who has so far tried to teach her a lesson…until a handsome stranger comes to her village. 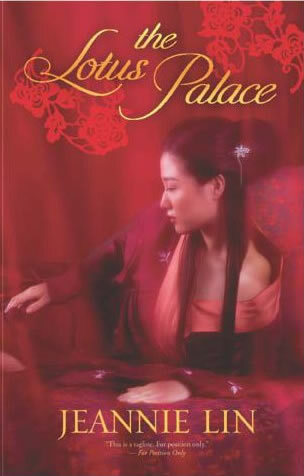 In captivating swordsman Shen Leung , Mei Lin finally sees a man she wants to marry. A man she’s willing to surrender to in every way…. 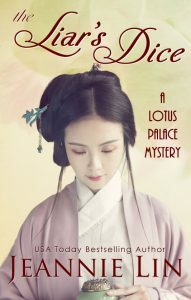 Tang Dynasty China, 710 A.D.
Mei Lin could feel the strands of hair slipping from her knot, tickling against her neck. Uncle made her stand outside during the hottest part of the afternoon, even when there were no customers. She wiped her brow and looked over at Chang’s tofu stand at the end of the street with envy. He at least had the shade of a tree to duck under. If she planted a seed today, she reckoned she’d still be here selling noodles by the time the tree grew tall enough to provide shelter. And Uncle would still be growing fat, napping in the shade. A tingle of awareness pricked against her neck. Out of the corner of her eye, she could see someone had stopped just beyond the line of the wooden benches. The stranger wore a gray robe, but that was the only thing plain about him. He had the high cheekbones of the people of the north and stood with his shoulders back, lean and tall. Unfortunately the town riffraff stood just behind him, grinning and poking at each other over some boyish joke only they found humorous. Mei Lin ignored them as she always did. The boy came eagerly running at her call. Her little cousin was not yet corrupted by his father’s laziness. “Fetch the tea,” she said and he went running to the stove. She turned back to the intriguing man. He remained at the perimeter watching her. He had a pleasant expression and seemed particularly still, as if supremely comfortable in this heat and in this world. She stood there with sweat pouring down her back wishing her hair wouldn’t keep falling over her face like it did. It was so rare that strangers came to their village. He bowed. “Wu Mei Lin,” he greeted formally. Even rarer that strangers came who knew her name. The smile she was about to give him faded into a frown. He had just returned with the teapot. The boy scrambled away, nearly tripping over his feet in his excitement. She turned back to the stranger. He insisted on using her family name in an overly polite fashion. The onlookers chortled. The hated Chen Wang was at the head of the pack. Wang tended to stay away from her after she’d given him a black eye that lasted for a week, but he couldn’t resist the show. “Well, then. Let’s get started,” she said. Little Cho returned and handed over her short swords. She fixed her gaze onto the man before her. He had his weapons strapped to his side. She’d missed it in her initial fascination. She scowled at Wang and his lot as she brushed past. It kept her from having to look at him. Why did he have to be so tall and his manners so impeccable? And why was she so taken with this swordsman when it was obvious he was here to humiliate her, just like all the others? “Little Cho, watch the shop,” she called over her shoulder. She ignored the boy’s protest and kept walking. He shouldn’t be watching street fights at his age, impressionable as he was. Uncle and Auntie Yin had enough to complain about without her being a bad influence on her little cousin. The swordsman caught up with her easily, keeping an arm’s length between them while they walked together down the dusty street. 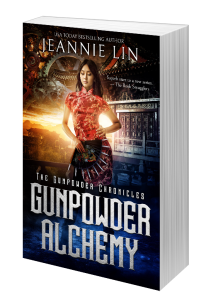 There was none of the posturing and swagger she’d come to expect from Zhou’s lackeys. From outward appearances, they could have been joining one another for an afternoon stroll. He was talking about the swords. Twin blades; short, light and quick. Many called them butterfly swords, but there was nothing delicate about them. They were ideal weapons for a woman fighting a larger opponent. Heaven forbid he’d look at her with the same interest. She sniffed, but a thread of doubt worked loose inside her. He was the first to be interested in her skill rather than the novelty of this odd girl who dared to challenge men. “You don’t seem like one of Zhou’s thugs,” she said. He sounded earnest; she wanted to believe that he wasn’t just another bragging oaf, here to put this stubborn woman in her place. She stole another glance at him. His black hair was pulled back and tied, highlighting his distinct features. And he was handsome. She might as well admit it. Looking at him left her with the disturbing sense that she had lost something; something she desperately needed to find. He was looking at her face now. A rush of heat flooded her cheeks. He smiled as he said it. His brown eyes were a shade lighter than what was common in this region. It reminded her of the golden wash of the sun over the mountains. She knew then what she couldn’t find: her usual confidence that the fight was already won. They reached the center of town where the main roads met at the market square. If Zhou didn’t send this swordsman, then he must have come on his own to challenge her. It had been two months since Zhou made his outrageous proposal, which she had countered with an even more outrageous declaration. Zhou was a lesser magistrate of the district. He had proposed marriage after catching a glimpse of her at the noodle stand while he was passing through. Uncle and Auntie Yin had been thrilled that someone wanted to take her off their hands, but Zhou already had a wife. Two wives, in fact! She would be little more than a bed warmer and glorified kitchen maid. She had announced publicly she would marry no man unless he defeated her in a fight. Her uncle and aunt were mortified, but she wouldn’t back down. Her parents had been poor, but proud people. It would offend their spirits to see their only daughter become some lecherous goat’s mistress. Zhou dismissed her challenge as the ramblings of a madwoman. She doubted he could lift a sword, but his henchmen continued to bully her whenever they came by. Over the last few weeks, several strangers had wandered into town to goad her into a fight. She suspected they had all been sent by the disgruntled official. She’d defeated all the country thugs and village boys who’d tried to teach her a lesson. But this swordsman was different. If Zhou hadn’t sent him, then he must have come on his own. Could news of her declaration have traveled beyond the dusty edge of town? More townsfolk had gathered to see crazy Mei Lin and another one of her displays of rebelliousness. There was a moment of sadness when she squared off across from him. She’d become a spectacle. The only marriage proposals she ever received were these stupid challenges from scoundrels trying to show her up. One of these days, some brute would defeat her. Someone a hundred times worse than Zhou. She’d done this to herself. “What shall the terms be?” he asked as he paced to the other side of the square. Still so composed, his every movement measured and graceful. She should have been paying attention to how he moved, not how captivating his eyes were. She raised her swords while her opponent drew his weapon. The blade gleamed in the afternoon sun, the craftsmanship obvious to even an untrained eye. Even if she discounted the quality of the blade, she knew immediately this man was serious. There was a way a sword fits into the hands of a true practitioner, as if it were an extension of his body. “You’re not even going to ask my name,” he said. The way he spoke her name sent a shudder down her spine, despite the heat of the afternoon. Certainly he had come to see her out of curiosity, but could it be he was actually interested? He watched her so intently and his pleasant manners gave the impression he was actually enjoying the exchange. She wished they didn’t have this duel between them to confuse her. He bowed, blade pointed downward, very formal. Like this was a sacred ritual instead of a street brawl. She looked down at her swords and for a moment they felt strange in her hands, as if she didn’t practice every morning and night with them. Master always said she wouldn’t know her limit until someone pushed her to it. “Now?” the swordsman asked from afar.